This edition of 1775 is dedicated to the “AG NCO”. The US Army’s NCO Corps distinguished itself as the worlds most accomplished group of military professionals. Historical and daily accounts of life as an NCO are exemplified by acts of courage, and a dedication and willingness to do whatever it takes to complete the mission. HR NCOs have also been celebrated for decorated service throughout the Army’s long and distinguished history, to current conflicts in Iraq and Afghanistan. In recognition of their commitment to service and willingness to make great sacrifices on behalf of our Nation, our Army, Commanders, Soldiers and their Families, we dedicate this edition of 1775 to the “AG NCO”. 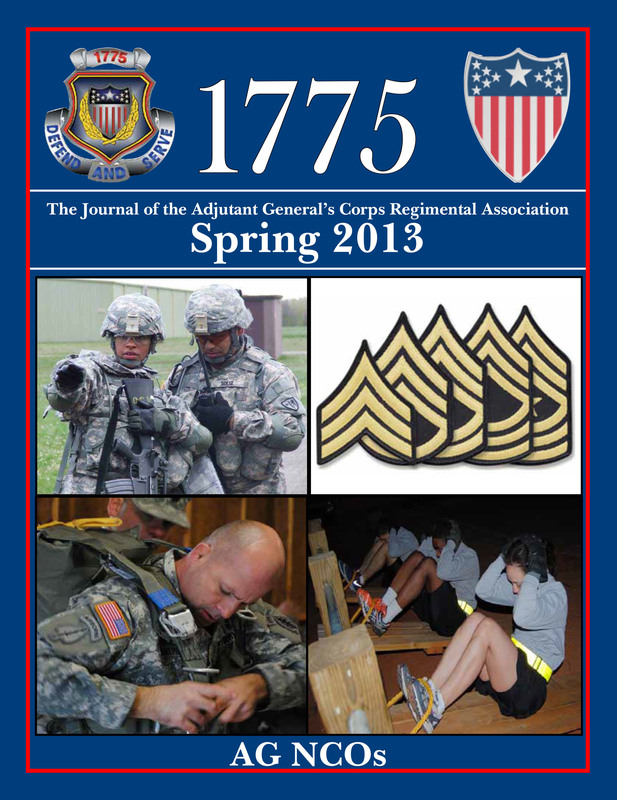 We hope you enjoy this edition of 1775 and solicit your comments and feedback at magazine@agcra.com.